Mix rice flour,besan flour with vamu(ajwain) chillie powder and salt . and place the dough in the janthika maker and press in to hot oil. 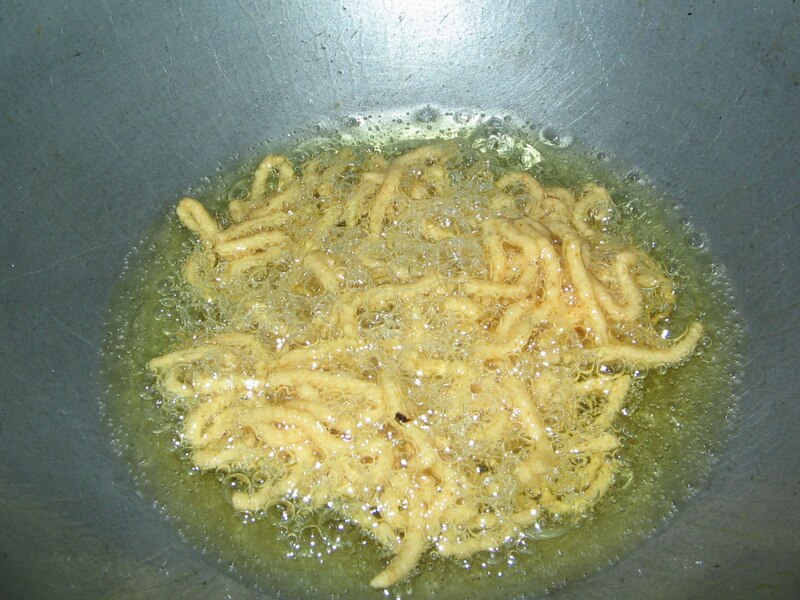 Fry the 2 sides of the janthikalu till brown. 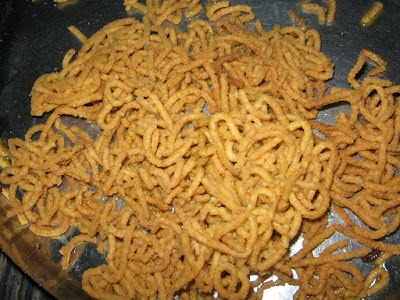 They will be crispy if they are fried till brown colour. Iwont add neither butter nor oil,as it tastes like vamupusa. My sister prepare this item for her school going children ..